SPONSORSHIP: Andrew Perryman (left), stud manager at Goldin Farms with Judith Jones (chair) and Stephen Smedley (CEO) of the Gawler and Barossa Jockey Club. 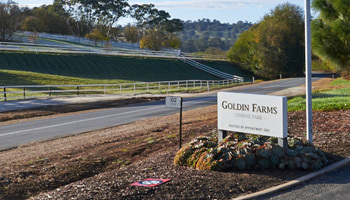 Goldin Farms, the Angaston-based throughbred stud, has agreed to a three-year sponsorship of the Barossa Cup. 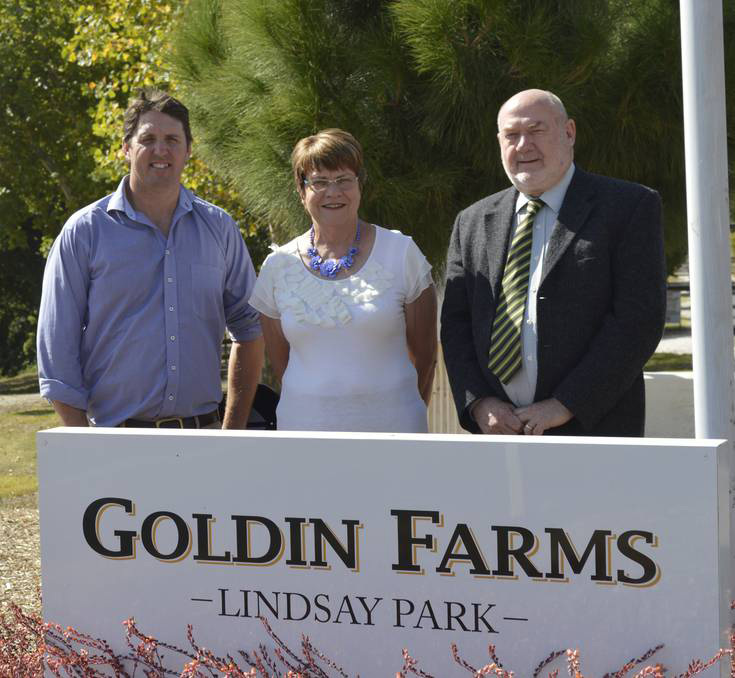 Andrew Perryman, stud manager at Goldin Farms, said the sponsorship was a good fit. “Goldin wants to support the local industry and Barossa Cup day has an obvious relevance,”Andrew said. Stephen Smedley, chief executive of the Gawler and Barossa Jockey Club, said the 2015 Barossa Cup day would be held on Sunday, May 17. “Judith Jones (Gawler chair) and myself have been actively canvassing Barossa businesses to become involved in the day,”Mr Smedley said. The Goldin Farms Barossa Cup will be a $25,000 open handicap over 1500 metres.